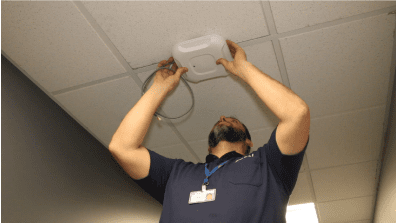 Setting up an enterprise Wi-Fi Network can seem like a daunting task. While some organizations will tackle this in-house, many will choose to hire a team of experts to take on this critically important task. Below is a high-level overview of the 6 steps required to set up your enterprise wireless network for success. 1. Conduct a survey of your facility or campus. Do a physical walk-through of your facility checking for obstacles (like machinery, equipment, layout, and even building material) that could affect the quality of your coverage. Using a Wi-Fi design software, enter your floor plan noting any obstacles. Identify your application capacity needs in the various areas of your business and add those to the Wi-Fi software. Conduct an additional walkthrough of your facility with the Wi-Fi software to discover your existing Wi-Fi environment. Because the Wi-Fi signal is invisible, the software map will show all the existing Wi-Fi access points and other interferers such as microwave ovens and rogue wireless access points. 2. Draw up a wireless solution that is right for your enterprise. 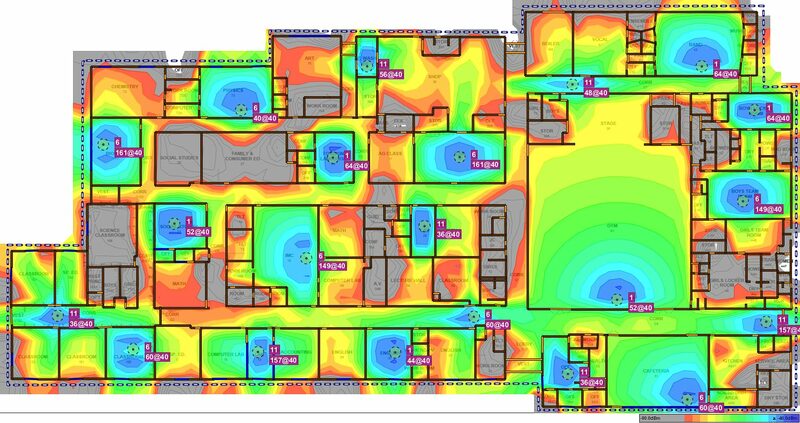 Use a heat mapping design software to optimize the placement of access point for seamless coverage throughout your facilities and for adequate network capacity for your applications. 3. Begin installing your system. Start routing cables, setting up a rack or cabinet, and labeling your wires. 4. Get your team trained! Make sure your team knows how to use your equipment. It’s not a bad idea to train your team on the ins and outs of your new system to ensure things continue to run smoothly. All Wi-Fi devices communicate differently, and the application may work differently with a Wi-Fi connection rather than a wired connection. 5. Survey again after the Wi-Fi system is operational. After the system is operational for a few days, re-survey the areas with the Wi-Fi software and ask users for feedback on how their devices or machinery is operating on the new network. Compare the results with what you were expecting. Often settings need adjustments for optimal operation. 6. Don’t forget about ongoing support. Even after training, sometimes questions pop up or needs change. Make sure you have the tools you need for ongoing success, like a trained IT team who is familiar with your system. With more wireless devices, machinery, and equipment coming into the workplace, a sound Wi-Fi network that allows for growth is essential. Now that you have an understanding of the outline for setting up a commercial or enterprise Wi-Fi network, you will be able to determine if you have the tools, team, and skill necessary to tackle the job yourself. If this feels overwhelming, you are not alone. Most companies do not have the resources, software, or equipment to pull off such a big task in-house. CC&N offers advantages every step of the way. We have excellent relationships with top-of-the-line vendors to get you the best on the market, at the best price point. We’ve invested in the software and tools necessary to get you the best wireless service in the most cost-effective way. We have a team of highly experienced designers, install managers, and technicians who will work with you every step of the way. When you choose CC&N, there is unparalleled service, continuity, and follow-through. Let us do what we do best, so you can focus on what you do best!